A GREAT video which is designed to be a comprehensive yet exciting talk on the Biblical, historical and social problems of the LDS church, one of the fastest growing religions in the world. 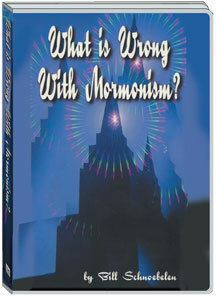 It also presents never-before-discussed information on the Mormon church's political plans in the light of their strange end-times worldview. An important resource for end times prophecy students!